The gathering of the Brothers of the Light is the fifth available quest to players. Similar to the two quests that have a player explore Shillatown, this quest has a player explore four areas in the Shilla world. 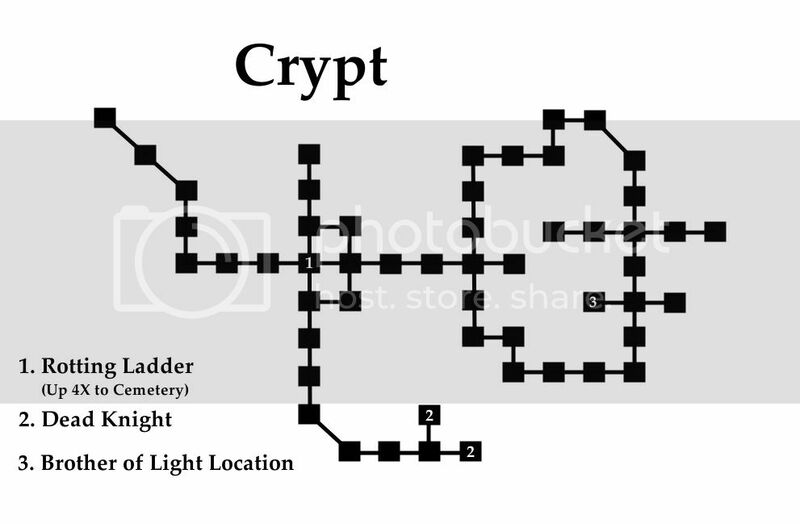 By going to specific locations in each area the player "rescues" a Brother of Light who has became lost on their mission to gather information. 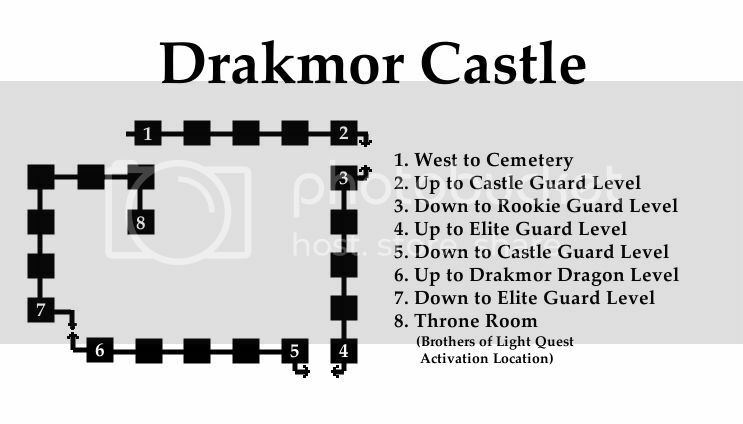 A player must make their way to the Throne Room of Drakmor Castle, located at the top of this area. This was once the location of King Drakmor, and the completion of a major quest of Old Shilla. Now players find the Throne Room empty, except for an odd-looking man, adorned in a strange suit of armor, peeking out from behind the throne. The weird fellow introduces himself as a member of a group called the "Brothers of the Light", begging for help finding the other four members of his party. He then "joins" you, and as the text says "… and will be providing no assistance whatsoever." Each of the other members can be found in the following areas. The link will open a new window containing the map, which has the Brothers locations marked. Order of "rescuing" each member does not seem to matter. Once you have "rescued" each of the Brothers, ending with the Druid Valley Brother will make things easier, go to the entrance to the Druid Keep area. While this area doesn't exist at the moment, the entrance does. The Brothers are very grateful for your assistance and reward you with the following.